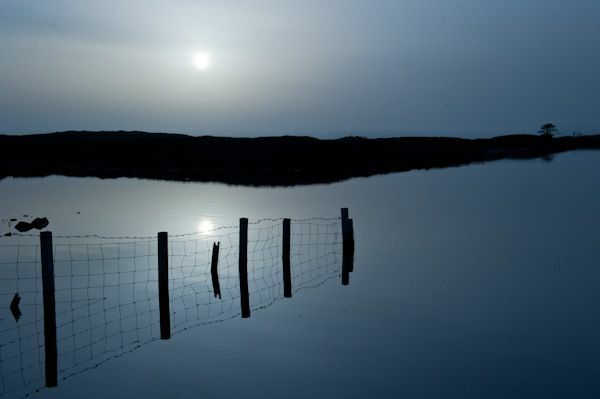 There are two major nature reserves in the southern isles; the first is the RSPB reserve at Balranald on North Uist. 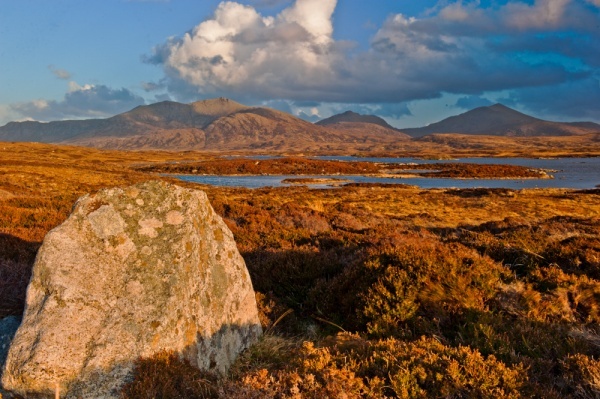 The second is the Loch Druidibeg National Nature Reserve just north of Kildonan, on South Uist. 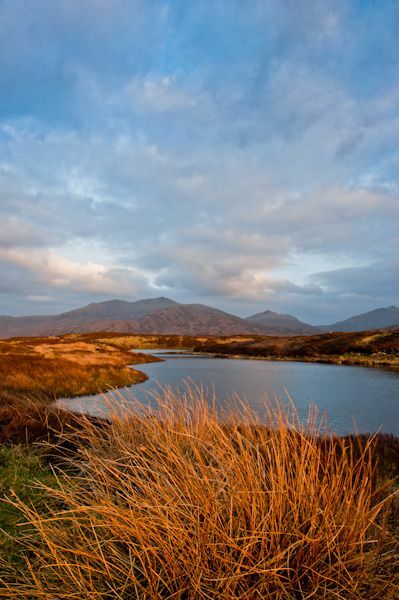 This important reserve, operated by Scottish Natural Heritage, takes in 34 acres (1677 hectares) of bog, machair, and freshwater lochs, spanning the A865 road. 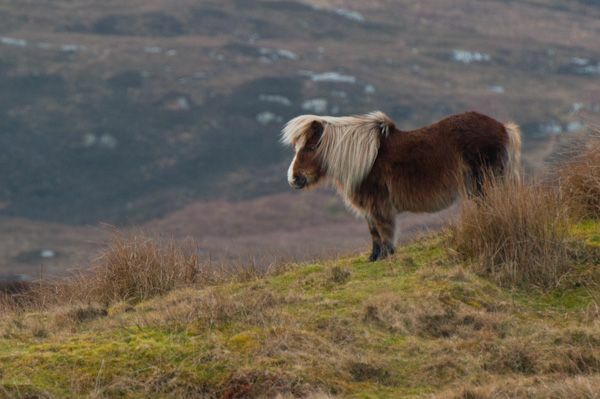 This is one of the best areas to see the full range of animal and plant habitat in the Western Isles. 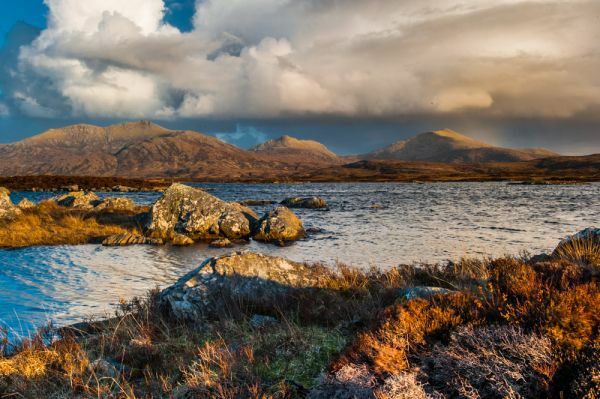 The range of ecosystems at Loch Druidibeg is marvellous. 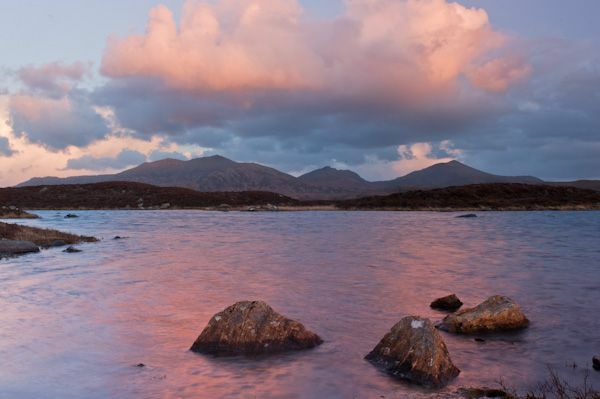 In the west is the relatively flat, sandy machair, an area of dunes and scattered coastal grasses leading to long, sandy beaches that would be the envy of a Mediterranean resort. To the east, the land rises and turns to heather moorland and rough grass, set on the slopes of hills like Hecla, where golden eagles fly and red grouse and plover are common. Loch Druidibeg itself forms the core of the reserve. This is a shallow loch that drains into the sea to the west. The eastern end of the loch, influenced by the acidic nature of the peat soil, offers little encouragement for wildlife or plants. The western end, however, is less acidic and richer, due in part to salt from the sea and shell sand from the beaches. This environment offers greater scope to a variety of plant and animal life. The area is especially important for its population of greylag geese, but you can also see a variety of other birds including redshank, ringed plover, and dunlin. There are also over 200 unique varieties of flowering plants, some of which are rarely seen elsewhere in Britain. The best place to access the reserve is to take the single-lane road towards Loch Sgioport and park at a signposted parking area about a mile into the reserve. From there a track leads into the centre of the reserve. There is a self-guided walk leaflet available from the local tourist information centre and from the nearby Scottish Natural Heritage office at the south-west corner of the reserve, on the A865 main road at Stilligarry. Since our visit Scottish Natural Heritage have 'de-listed' Loch Druidibeg, meaning that it is no longer a National Nature Reserve. The reserve was originally created to protect the breeding habitat for greylag geese. The greylags are longer a conservation priority in the Western Isles, thus the reserve was no longer considered necessary. The Loch Druidibeg area is still a Site of Special Scientific Interest (SSSI), and quite simply, a wonderful scenic natural area. 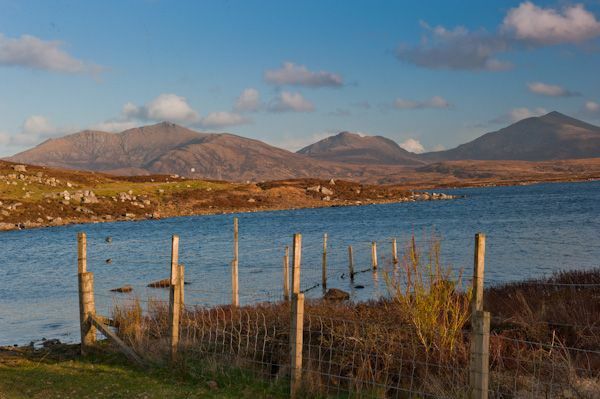 Nearby accommodation is calculated 'as the crow flies' from Loch Druidibeg National Nature Reserve. 'Nearest' may involve a long drive up and down glens or, if you are near the coast, may include a ferry ride! Please check the property map to make sure the location is right for you.